Just like a star, shining brightly to amaze everyone. That is the impression that would be created by these earrings once you put it on. 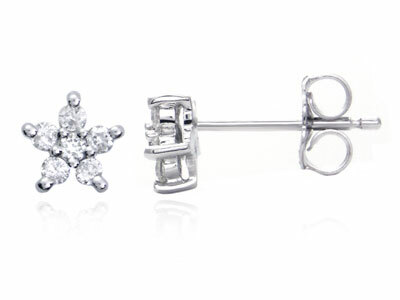 The earrings have the star design on each of them to reflect the inner star in you. Furthermore, there is no star without the shine. Therefore the stars are decorated with diamonds so you could spread your glowing appearance to everyone.